Over the years of observing architecture and listening to local architects about their designs, I began to see a common thread; one that Andy Warhol saw and ubiqitously exploited so that others can hopefully understand and possibly deviate from. Because Andy covered such a vast amount of art, talent and endeavors, it is important for me to narrow a single point of thought and explain that he had one useful point to make in his life. From his Interview with Gene Swenson, Art News (1963) Andy was asked about liking things and how that was being a machine. Andy discussed commercial art and how it can go both ways of being creative and not, through process and the subject itself. “Like the shoe I would draw for an advertisement was called a ‘creation’ but the drawing of it was not.” This one statement reflects the talented people I see working to pay their bills and aspiring to be different at the same time. A nomer to art and work. In my perception of architecture, talented people are like artists. Andy said , ”If an artist can’t do any more, then he should just quit; and an artist ought to be able to change his stele without feeling bad.” Some of the words that Andy used are very strong and brutal. The brutality is that it can hurt an aspiring artist’s feelings. But then if we always worry about injured feelings, we could never make discovery. Attitude (a settled way of thinking or feeling about someone or something, typically one that is reflected in a person’s behavior https://www.google.com/#q=attitude+definition) had feeling? This last statement is intriguing because the process of satisfying everyone was machine like but the people that the machines were created or working for was the attitude (in my humble opinion) Andy lacked. It appears Andy was a blank soul trying to find something out of ordinary life/things. He always worked to please someone/something and learned that through repetition he could find himself. I believe he really didn’t have attitude of his own (perfect example watch the video of himself eating a hamburger like so many of us working and eating during lunch break https://www.youtube.com/watch?v=Ejr9KBQzQPM) and if he did show them, they were by-products of what someone else wanted. Much like in architecture, talent always seem to stem from needs of others or something. 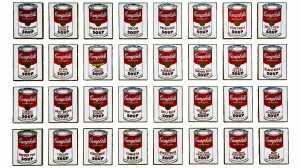 Andy Warhol was a creature of no identity (his view of pop culture and racial preference). His work of machine like process created a feeling for him but would not know the attitude until it is repeated over and over and over. One that seemingly believed in duplicating work over and over to achieve a sense of individuality. On the other hand, the repetition can have a mathematical value. A theorem logic that prevails after so many repeats. Perhaps this is the need that many artists have and cannot let go until reprisal is achieved from unconscionable discovery. If we listen closely of what Andy meant by, “those who talk about individuality the most are the ones who object to deviation.” A thought comes to mind when we see architecture in many forms of contemporary, modern, mid-century, classical and so on. These movements express individuality in a conforming way that many can study and appreciate. However, it is a limiting factor for the purpose of association. Notice the irony? How can an artist truly be an individual if he or she is held back from deviation by being classified? This is the dilemma that I believe Andy wanted to avoid. Remove objections and seek uniqueness. This may not seem evident in Andy’s comment of “I think every painting should be the same size and the same color so they’re all interchangeable and nobody thinks they have a better painting or a worse painting” (Andy Warhol’s Iconophilia pg 10 http://www.rochester.edu/in_visible_culture/issue3/ganis.htm ) But, carefully dissect the logic and you can see that the objection would be not to share with everyone and the uniqueness would be to identify deviation by going beyond the obvious scope. Hence, artists must understand and know that through all paid and none compensatory work (even though it may seem futilely going no where), the Warhol Factory is at play where deviations (big, small, intentional and accidental) can be recognized and derivatives of those work can be shared amongst the masses through visualization and feeling. From Andy’s discernable works, we can easily identify and associate with, but at the same time, glimmers of differences can be brought out in open for all to see the attitude and understand from it. 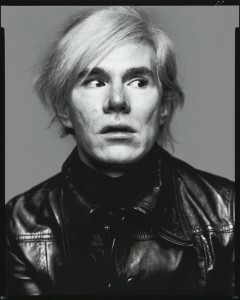 That is the “machine antithesis” he gave us from our routines – that is Andy Warhol.